Have we ever stopped to think what our mind is? Or rather what our mind is made up of, though we engage it in various activities from dawn to dusk? Our mind is made up of thoughts. Thoughts have different colors to it–good, bad, pleasant, unpleasant and so on. It could be surprising for some of us who have not been alert—our expectations, emotions, likes, dislikes, worries, joy etc. are all in the form of thoughts. We are habituated to travel with the endless train of thoughts throughout the day, day after day. 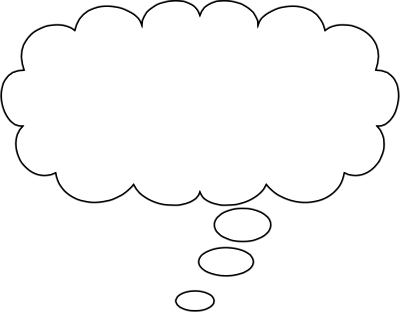 Modern psychologists suggest that an average person with an undisciplined mind has about 50,000 distinct thoughts everyday. Almost all of them are either negative thoughts or confrontational. Even people who are well-mannered and pleasant, who spend most of their times in the privacy of their thoughts pursue mean-spirited, angry or harmful thoughts. Every one of us experiences the same kinds of thoughts raging in our undisciplined minds unless we have a trained mind. What separates the spiritual leader (one who follows spiritual principles in his or her life) from the crowd is that he or she has learnt the art of controlling the mind and its raging thoughts. Spiritual leaders know that ones thoughts are not really ‘one’s own’! Just because thoughts appear or pass through the mind, it doesn’t mean one has to buy into them or identify with them or act upon them! They learn to simply let them pass by being an observer. This is how we as leaders in our own capacity can deal with all kinds of negative and unwanted thoughts that pass through our mind, i.e. by being an observer and not getting attached to the thought. Though it is not very easy in the beginning, with a little practice, we can apply it in almost every situation in our life successfully. Wrong thoughts are inside us just because we identify ourselves with these thoughts. If we identify with something else, immediately they have to leave us! Prentice Mulford, in his famous book ‘Thoughts are things’ presents that there is a higher power who is the controller of all thoughts, and He lives within you and without. Prentice says if you can’t control your mind, don’t try; instead ask the Higher Power to change your mind for you. He concludes that all you need to do is to have faith in the Higher Power. Thank you for wonderful tips given to control the mind from the negative thoughts. We always speak that we are not this body, nor mind, nor inteligenge, but we are spirit soul part and parcel of GOD; but we get so much impacted by these thoughts. Very true that we should be observer of our thoughts and not misidentify it with oneself…..Thanks for sharing !! Wonderful article. Influence of thoughts nicely explained and nice practical tips to control the thoughts and hence control the mind. Amazing.Thank you so much,for sharing this. Thank you. This understanding about mind and thought really helped me. I was looking for it. Thank you for giving the wonderful practical tips about controlling our minds. HH Radhanath swami ki jai. I liked the point on how to simply let negative and distracting thoughts pass by being an observer and not acting on them. Thank you for this illuminating article! This is such a practical and an insightful post with thorough explanations and details. Yes it is not possible to control the mind without practicing principles of spiritual life under bonafide guidance.Practically all of us have experience about our mind which is very nicely described by author in her article.Attachment to the Guru,God and Their associates is the most effective way to counter the negative and confrontational thoughts in our mind.Also remedy given by Spiritual leader HH.Radhanath Swamiji that chanting of the Holy Names Of The Lord may give miraculous results if practitioner is sincere in his/her endeavor.Thank you very much for sharing such nice article with us. Thinking of God helps us to avoid unwanted thoughts. Good suggestion. All glories to HH Radhanatha Swami Maharaja. very good article about leaderhsip thoughtprocess. Thank you very much for sharing this useful post. Very instructive that thoughts are things (although invisible to our eyes) and are real and substantive and that they form clusters. If one dwells on a negative thought, it keeps clustering and accumulating. Same way if one thinks of a positive thought like being thankful and grateful, it changes the whole consciousness. The advice of becoming an observer to the thoughts is very useful. The advice of HH Radhanath Swami Maharaj to take shelter of the holy name to evade negative thoughts is the most practical. great article…thoughts are real and substantive. The mind has to be controlled otherwise it will control us…only way…take shelter of Krishna to allow Him to control! It makes sense – a thing can be controlled only by a superior power. Same holds true for the mind. The best way to take refuge in that superior power is chanting the Holy Names of God. Very practical answers to the most difficult subject matter- mind and thought. “if you can’t control your mind, don’t try; instead ask the Higher Power to change your mind for you. He concludes that all you need to do is to have faith in the Higher Power”. Probably we all experience exactly what is described in this article. Most of the time our mind is restless and always hankering for what is not belong to us. Thus to have practice to controlling our mind and so our words and actions is very much essential. I will try to practice the suggestion given by H H Radhanath Swami Maharaj that is to focus our mind on God and ask for the God help whenever we face negative thoughts. Although invisible to the naked eye, thoughts are things. They are individual electrical entities that group themselves with similar energy to form clusters. They are real; they are substantive; and they are a force that everyone can learn to balance and control…Nothing exists unless it is sustained by thought. Such a amazing article. From the time we took birth we started thinking. That time our thoughts were impractical now they are actually more impractical. Uncontrolled thoughts can never lead to Supreme power. We have to take shelter of Holy Name, Shelter of devotees, Shelter of Spritual Leaders and their words-like H H Radhanath Mahraj, Shelter of Srimad Bhagvatam and Bhavad Gita then only there is some hope for us to control our thoughts. So much to learn and apply in our lives through this post. Thank you for sharing this most helpful article on the mind. Thank you for giving us the inspiration to turn to more positive thoughts and feelings by chanting the names of God. A person never goes into depression because he/she accepts any calamity/problem in his life as an opportunity to be more closer to the Lord. Thanks for sharing it. Such an important lesson and a must for the leaders of the modern day human civilisation. Such lessons should be made a part of an education course for all the political leaders of the world. Thank you for sharing this wonderful article explaining about the activities of our mind and for giving practical tips for controlling the mind. excellent article…great leaders decide the fate the commuity…we need good spiritual leaders! Very nice thoughts which nurish our minds. Very informative and striking article. Ignore the bad thoughts in the mind and they will go away. We take the shelter of the holy name. This is the best soulution to this vexing problem. Thank you so much Swamiji. This article is very thought provoking. We learn to live with our mind by being subordinate to it and never try to be free from the clutches of notorious mind. The only way is to associate with the people who are trying to be free from lower state of mind and use it in right direction for higher purpose. There are many saintly people like HH Radhanath Swami who have made their mind a real friend and they are serving the humanity at large by the power of their thoughts. Thank you very much for such a nice article.